Hello loves! Looks like it's wash day time around here again. My plans were to co-cleanse yesterday using my Hair One Cleansing Conditioner with Olive Oil. 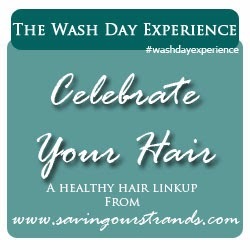 But as I was gathering my items to prepare for wash day, I realized I was totally out of Hair One! Since it's one of my staple co-cleansers, I don't know how I forgot to purchase another bottle. So instead of pouting because the closest Sally's is now many miles away, I decided to give KLP's method of co-cleansing a try. I didn't want to shampoo cleanse, as I didn't want to strip my hair of its moisture. Nor did I want to co-wash with an instant conditioner either, as my hair felt a little heavy from doing scalp massages with Hair Trigger Growth Elixir for the last week. So here's how it went! 1.Pre-pooed with coconut oil down the length of my hair. 2.Combined Mill Creek Biotin Shampoo with grapeseed oil and Tresemme Naturals Nourishing Moisture Conditioner (it's inexpensive and it gives GREAT slip) for my co-cleanser mix. 3. Deep conditioned with OGX Macadamia Oil Conditioner x Macadamia Natural Oil Healing Oil (won in this giveaway) while in the shower. 4. Rinsed conditioner and removed excess water with a t-shirt..
5. 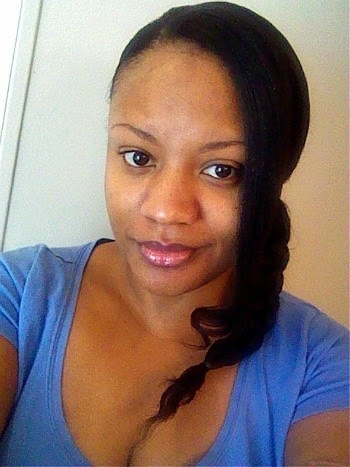 Applied GVP Silk Remedy to my hair then wrapped hair in t-shirt to dry. For starters, I think my co-cleanser needs a little tweaking. After co-cleansing, my hair felt dry and wiry--like it does when I use the Mill Creek Biotin Shampoo alone. While I didn't use exact measurements, I know I used more conditioner than shampoo. But since my hair felt clean, I didn't take my first time co-cleansing as a complete loss. After conditioning, however, my hair was soft and smelling great! 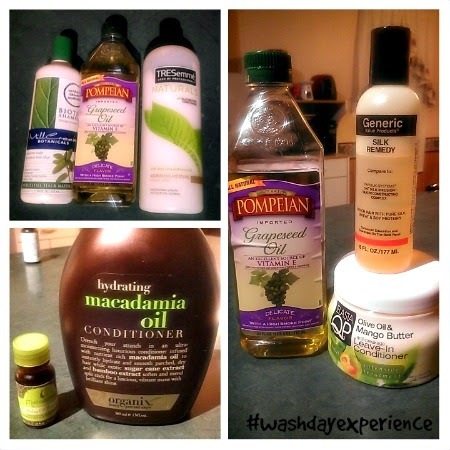 And I love the tingly feeling the Macadamia Natural Oil Healing Oil gave my scalp! I love a little scalp stimulation from time to time (more like all the time). I did notice that there was more shedding with this wash than I have experienced in the last month. Hopefully spritzing with Aloe Vera Juice this week will help combat this. I'm making a note to make next week's DC a deep protein conditioning also. Just when I thought I had my shedding under control, this happens! Le sigh. 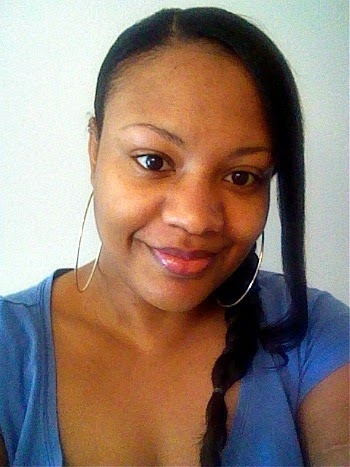 My protective style for the next couple of days will be this quick 5 minute side braid I did with a half-wig, as demonstrated here. I'll actually take the time to do something to it Saturday morning, hopefully! How was your most recent wash day? Married & Dating: WE WANT YOU!